Watch full One Piece Season 14 Episode 55 English Dubbed full HD online. One Piece Episode 513 English Dubbed online for free in HD. Near the Sabaody Archipelago, Law and his crew decide to wait for the proper moment to enter the New World. On a winter island, X. Drake confronts Kaido’s security guard to enter a town. Meanwhile, on a local spring island, Apoo runs on an invisible road to the sky. 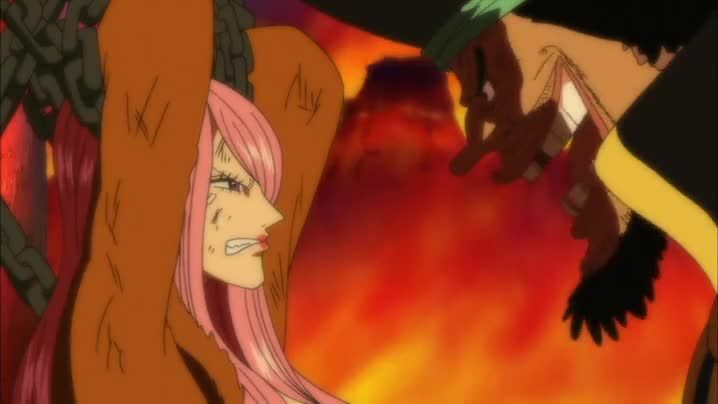 At a burning island, Blackbeard defeats Bonney and abandons her to be captured by Akainu. At Marie Jois, Doflamingo tells a government official that he seemingly killed Moria while in Marineford. However, Doflamingo does not care about the World Government’s powers, as he is still a pirate. Ashamed for returning to the Birdie Kingdom too soon, Chopper dons a disguise. After being allowed to stay on the island to study the local medical plants, Chopper makes a tearful vow to Luffy that he will train intensively.